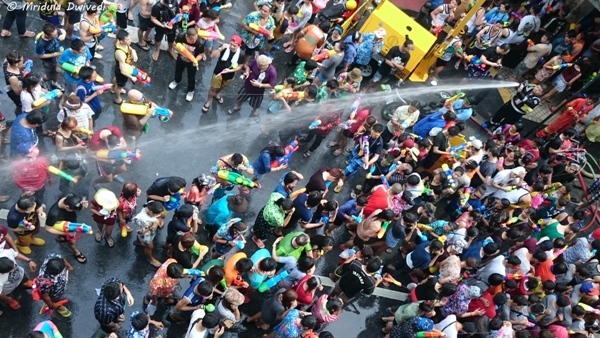 People of Thailand celebrate Songkran to usher in the Thai New year. It falls in the month of April. The traditional celebration is a family affair where the entire family gathers together to pay the respect to the elders. In doing so they would put a fragrant paste on their hands and sprinkle water. The symbolism was to ask for forgiveness from the elders at the start of the new year. But there is a modern version of the festival now! And that is amazing fun. 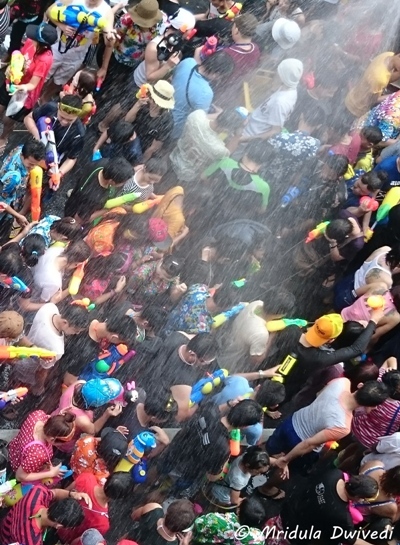 Entire streets in Thailand turn into fighting zones, only the fight is a water fight. The paste is now smeared over the faces. 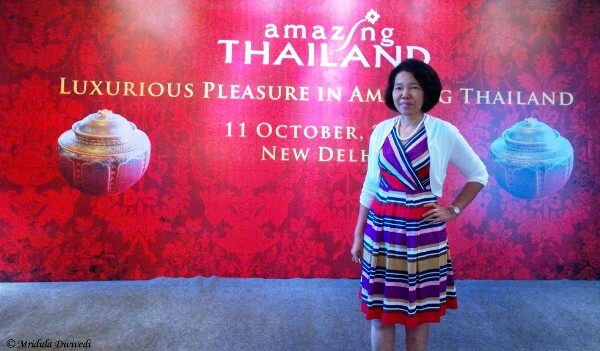 I was lucky to witness the festival at two places- Chiang Mai and Bangkok. The fun goes on for three days! The dress code for Songkran is colorful flower pattern shirts and shorts or anythign else that you would like to get drenched in! I was once again traveling with TAT New Delhi and this was our group- Gaurav from Times of India, Vaishali from TAT, Manjulika Promod a fellow blogger and Arpit from Hindustan Times. We were a fun group which got along fabulously! Alternatively men decide not to wear a shirt at all, after all everyone gets drenched, there is no exception to it, unless you are driving in a vehicle with windows rolled up. It is very easy to join in the fun, you just need to get out in the street and people will drench you! You can drench them too! Foreigners join in the fun as easily as the locals! I saw only one group of foreign women in Chiang Mai who were on the road and yet didn’t wish to get drenched. Everyone else knew the score! 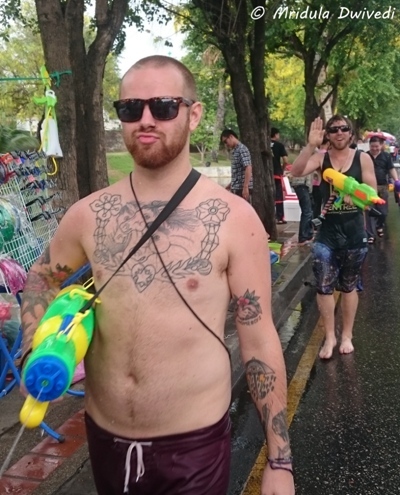 If you get out on streets during Songkran you are a fair game. 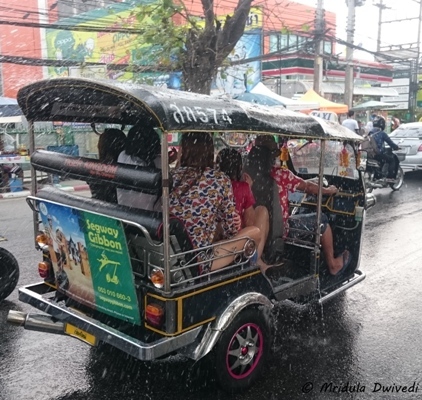 A tuk tuk, the common mode of transport, offers no protection against getting drenched. People stand on the side of the roads with water tubs and throw it by the bucket too. Some use ice water which truly gives a jolt but for a second only! 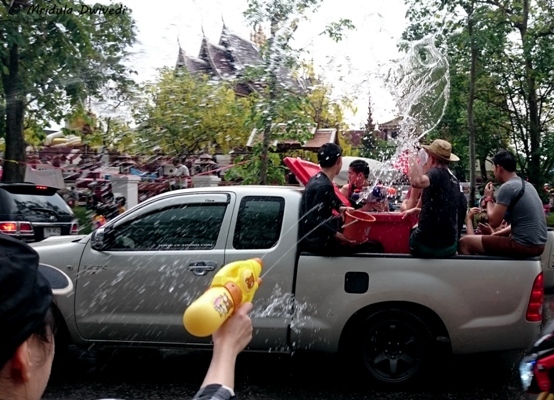 Pick up trucks are used to store water and indulge in Songkran while on the move! There are a few main roads in every city where the festival is played. The traffic becomes very slow on these roads. 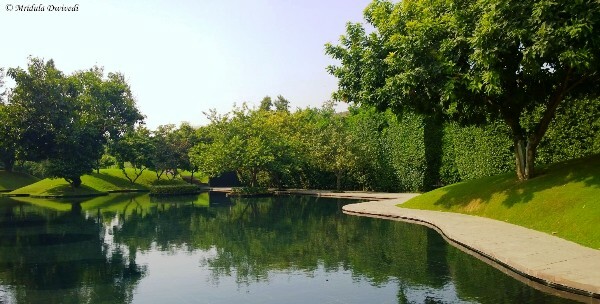 We were in Chiang Mai a day before Songkran so, these pictures are of pre-songkran celebrations! 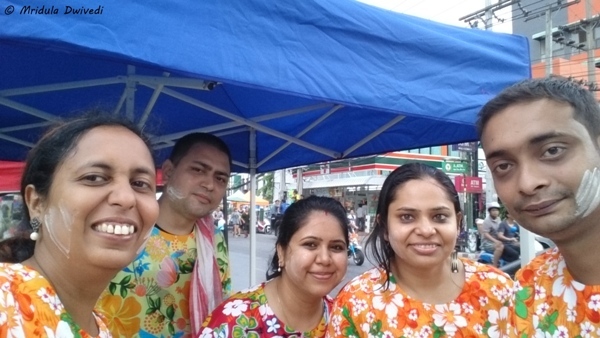 The we moved to Bangkok and it was the time for the main festival! I was once again staying at Ramada Plaza Menam Riverside and that street itself was witness to the water fights. But the next day we went to Silom Road and what a fantastic celebration it was! After walking on the Silom Road for a while we went to the Sky Station bridge as it was a better vantage point for taking pictures. We were totally soaked from our small walk itself. The covered tunnel had sprinklers on it, so you would automatically get drenched while walking under it! And that was not all, there was an official with a water hose taking care that everyone got drenched properly! 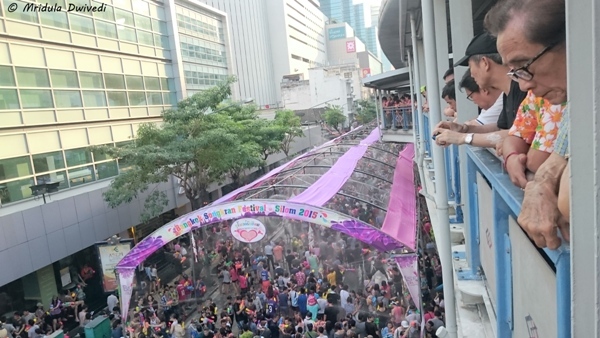 The sheer energy and the number of people who turned out to celebrate Songkran was amazing, quite like Thailand. I have to grant it to Thai people, they know how to behave in a crowd. Here we were, 4 women (including our tour guide) and two men walking in a jam packed area and there was no incident of inappropriate touching or any other harassment. 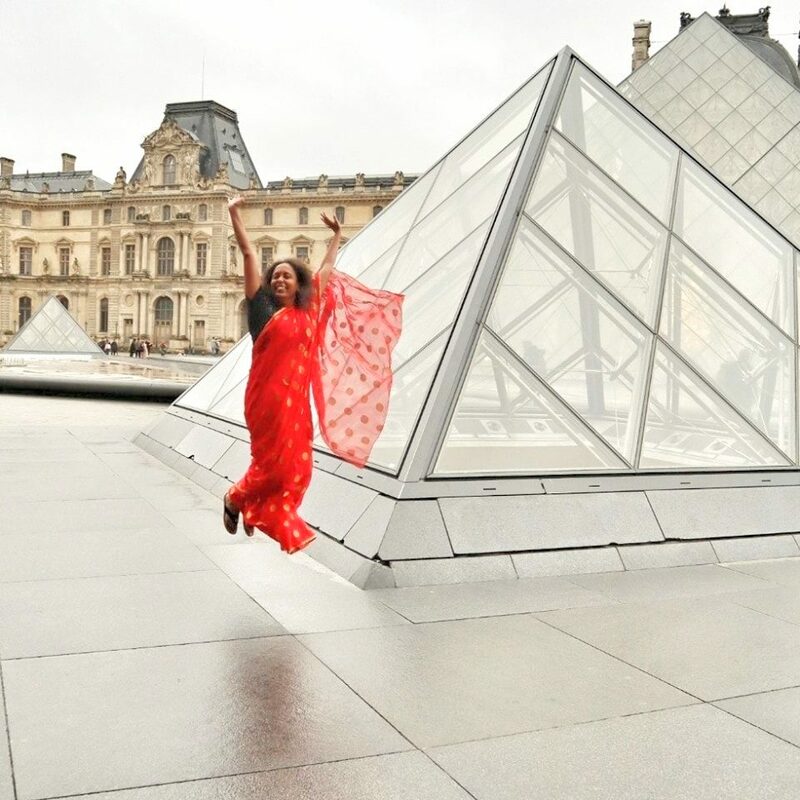 It was such a joy to witness a public celebration at such a large scale where men and women participated equally. I went in to a water festival all alone at Asiatique and I felt entirely safe. 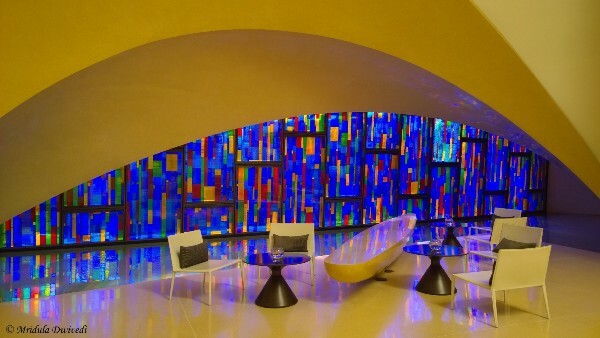 I stayed there to click a few pictures and no one bothered me at all! I caught this man on the camera as he was happily mixing ice in the bucket. I was clicking the picture of ice when his friends tilted his head for my camera! I happily obliged. 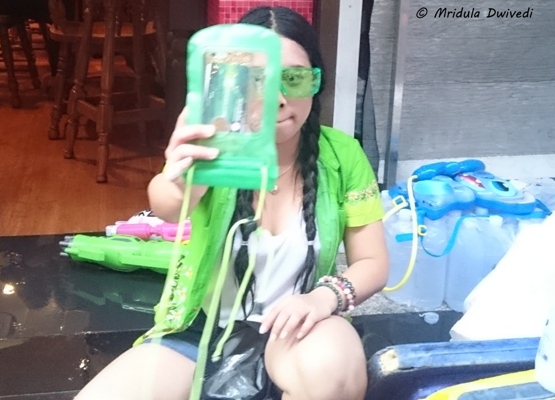 I had given some thought to the issue of photography during Songkran. With water everywhere I knew I could not take out my SLR. Luckily I had my Sony XperiaZ3 to the rescue as it is water proof. 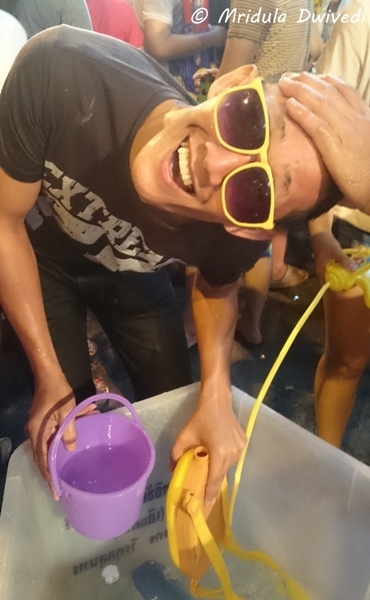 I used it to click pictures throughout Songkran and it is Songkran proof as well. I have pictures and I have my camera intact too. If people see a camera/cell phone in your hand, some of them go straight for it! My phone did get some attention for being waterproof. Otherwise you can buy these pouches and keep your cell phone inside it. They were sold for 50 Baht this season. People use it for keeping their money as well. I would ask the people who drenched me to pose for me as well, they would happily obliged! After Silom Road we headed to the Khao San Road to join in the celebrations. 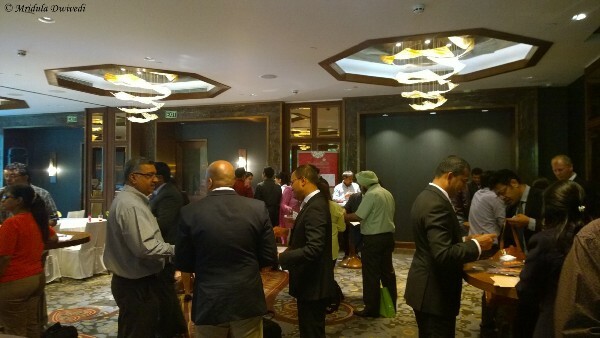 But it was so jam packed that we gave up after 10 meters or so. But the funniest incident I witnessed was on the road. We were at a traffic light when the bus driver opened his window and poured water from a bottle over the two people sitting in the tuk tuk. By the time the people in the tuk tuk recovered he had closed the bus window. 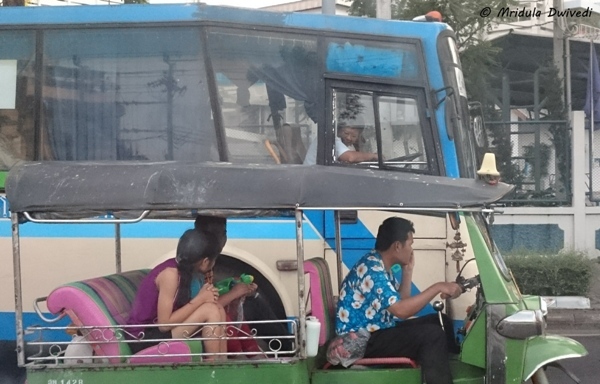 The boy in the tuk tuk kept pointing his water gun at the window now firmly shut! The bus driver would make funny faces at the couple and I died laughing at the scene! That is the spirit of Songkran in Amazing Thailand! PS. 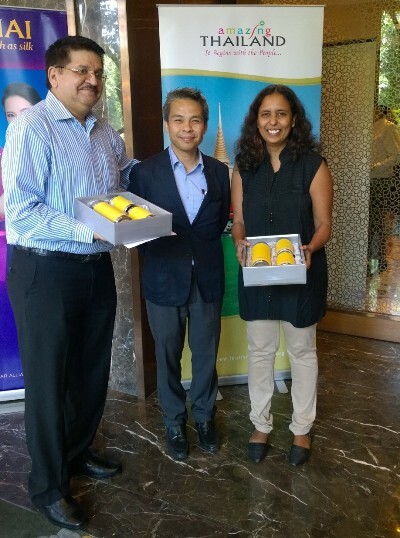 I was invited by TAT New Delhi to visit Thailand during Songkran.